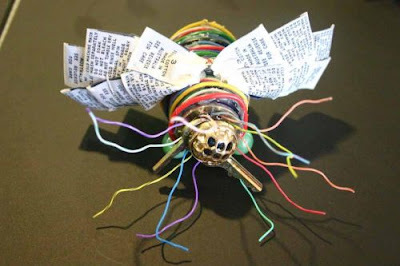 Take a look at this gorgeous colorful sculpture of a fly featuring clothing labels for wings and a key in his head by Lucy Armstrong. like that picture have you heard of Bent Objects? I also like creating recycled things. lisleman, these are beautiful. Thank you!